In modern days it seems that everyone is chained to their phones. To go even one step further: Many of us are slaves of their phones. Constant notifications distract us from the real world around us and try to drag our attention to an app. Phones and especially Apps are designed that way. They are designed to capture our attention, to stimulate our mesolimbic pathway, also called reward pathway. To do so they bombard us with a staccato of notifications, popups, messages, beeps, rings and vibrations. Our devices hold out the false promise that there is something more important, more urgent, and more interesting than our present-moment experience. We must willingly and mindfully break these chains, change settings and our behaviour to focus on what is important and what not. To consciously open Apps and pick up the phone, not unconscious like the apps want us to do so. I myself do Facebook-Breaks from time to time just to remind myself that you can go through your daily life without looking into timelines all day long. Especially the “Screentime” feature of iOS12 was an eye opener to see how much time you waste looking at that stupid App. Apps stimulate our reward pathway. We feel good if we get new notifications, new input, new attention from others. But nothing of that is real and it leads into a downwards spiral if you are not careful. So, what else then just stop using certain Apps can we do to help us staying focussed? 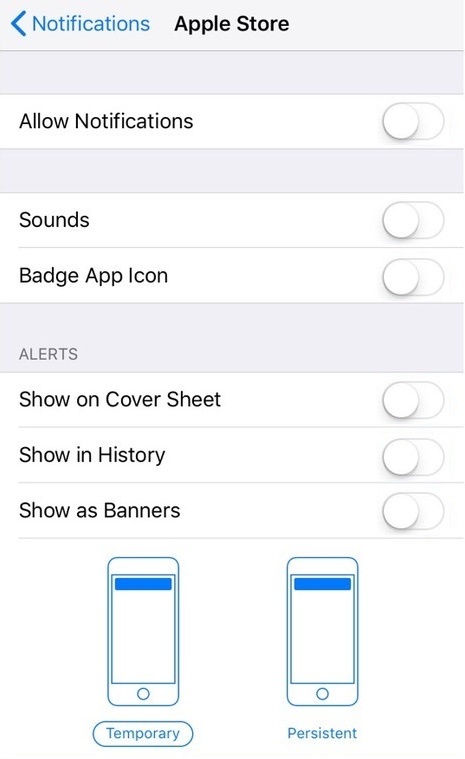 First is to deactivate all notifications and badge icons of all Apps – not people. What I mean is: The general setting should be off! Only certain Apps should be allowed to send you immediate notifications – mostly the ones where you interact with people one on one! On my phone only very few Apps can send me notifications, “Messages”, “Facebook Messenger” and “WhatsApp” are two of them. But then again, make sure to exclude group chats! For all other applications I want to decide when I want to check for new items. Secondly, get rid of those badge icons! The (1) or, in the case of my wife (1742), next to the email-app lures you to have a look. It generates curiosity, which eventually you won’t be able to resist. Before you know it you are distracted, chained and a slave again. Instead of having these icons dictate your behaviour, you should take it into your own hands and schedule time for emails, twitter or other apps and set reminders for them. More important than setting reminders also is, to set time limits for these Apps as well! By doing so you take the time you spend back into your own hands and don’t let App developers control your daily life. So, instead of allowing Apps to distract us and only have a good reason why we deactivate this, we should have a damn good conscious reason why we allow Apps to disturb us. Use the do not disturb function built into the operating system to get rid of unwanted disturbances during the evening or morning times. Hidden in the settings of your phone, you can set times in which the phone, even if it is set to ring, does not ring and notifications won’t come into the foreground. This frees up time and attention span for family, enjoying dinner and so on and slows down your brain for the evening so you can have a better rested sleep as well! 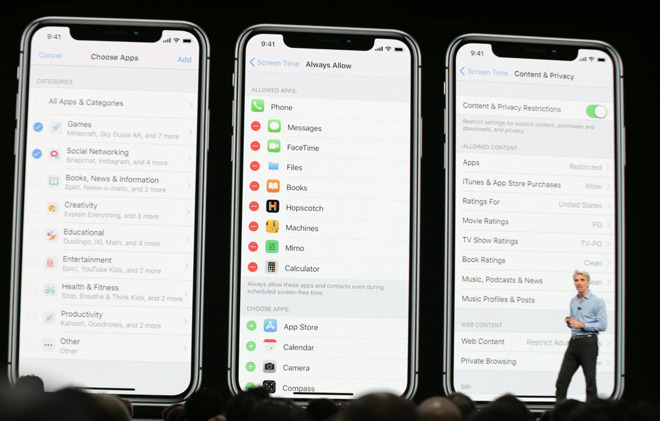 The screen time feature (available from iOS 12 onwards / on Android it is called “digital wellbeing”) shows that staying focussed and spend time wisely is an issue many people have and even the developers of mobile operating systems had to react on this trend. It allows you to set limits for certain Apps or App categories. If an App or category runs longer than you planned, the icons get greyed out and you can’t use them anymore. If you allow it, you can “buy” additional time – but then it’s a conscious decision again! It also provides you with usage statistics to get a detailed feeling of where you spend all this screen time. You can even plan screen free time – during which only pre-defined apps and calls are possible. The way you organise and start your apps steers your behaviour. If distractors like Facebook or other social media platforms, or even email, are on your start screen, they constantly quietly scream “open me” … “have a look” … “see what’s new” and “you’re missing something”. By re-locating them to the second page or even there into sub-folders you have to make a conscious decision to look for them and open them. You can even form a habit of searching for the app you want to use! For instance if you want to write a mail, swipe down and search for “ema” – and it will show you the email app. By using Apps this way you give the use more value, take a decision and avoid distractions. Many people use the same phone for work and private life just because it is uncomplicated. You don’t have to carry around two phones, you have everything at your fingertips. 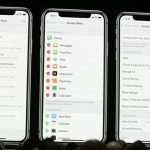 You only have to care about one device when it comes to installing Apps and updates, charging and of course if there is only one device you can only forget one- not two. That’s about the advantages. But what about the disadvantages? If you work customer facing you have to be on top of your emails, you have to answer calls. Setting the phone on mute or ignoring email notifications can easily lead to problems in your job. But what about your private time? What about holidays, bank holidays, mornings, evenings and weekends? Those notifications, if they are generated by humans or other computers (mailing lists, notifications etc.) drag your attention, create stress and prevents you from switching off. By only using one phone you could never do the radical settings mentioned in “1. 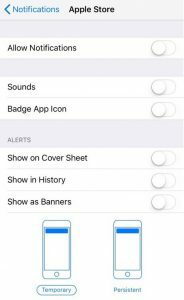 Deactivate Notifications and Badge App Icons” or 2 “Use ‘Do not Disturb’ function” or any other of the mentioned settings. For instance you can set your private phone on mute during the day and the company phone during the late afternoon, evening and early morning. Also, if the phone rings you can never be sure if it’s a job related call, or maybe a private one. You HAVE to pick up without knowing for what purpose someone is calling. I hope this article gives you some ideas around focus on mobile devices. Please share your thoughts, ideas and feedback in the comments.